While profiling RZA ahead of his directorial debut The Man With the Iron Fists, the New York Times asked the dude to speak on the perpetual swirl of Wu-Tang reunion chatter. And instead of handing back a canned, generic answer about how everyone really wants to do it but everyone’s really busy, Bobby Digital got nice and blunt and honest. Basically: With the first few Wu-Tang classics (and that includes the first few rounds of Wu-Tang solo albums), everyone listened to me. If we want to make more classics, everyone has to listen to me again. Oh, it’s got to be hard. [laughs] It’s like, “What makes you think you’re the genius?” Before, they believed in me like that, they trusted me like that. Now, they’ve had a chance to do their own thing, and some things they liked better. Whether it was successful or not, they may like it better. But I would say, if we get one more shot of me being completely trusted as the driver of the ship, I think we could give the world one more record, maybe. Specifically, RZA’s thinking about a new album to commemorate the 20th anniversary of their debut, Enter the Wu-Tang (36 Chambers), and that makes a lot of sense. There have been enough scattershot Wu tours over the years to where an announcement of one more won’t necessarily get anyone’s heart racing. But there hasn’t been a Wu album since 2007’s 8 Diagrams, and it’d be a mistake to leave the legacy off there. Not because the album was a disappointment: I, and also loads of critics, happen to think very highly of that thing. But its release was clouded around all kind of intra-band tension. At one point, Raekwon was even talking about splitting off into factions, with RZA on one side and the rest of the Clan on the other. 8 Diagrams was RZA trying to push his vision on a highly reluctant group of individuals, and the potential of that project was cut down because of all that friction. So, yes, the Wu-Tang Clan getting back together under the total control of RZA, just like it was in the early days, is almost impossible to imagine. Almost. Because maybe the Clan can put aside their egos, and realize that a 20th-anniversary album — pre-sold with a PR spin about Wu-Tang returning to the approach that birthed so many classics — could be a very big deal. 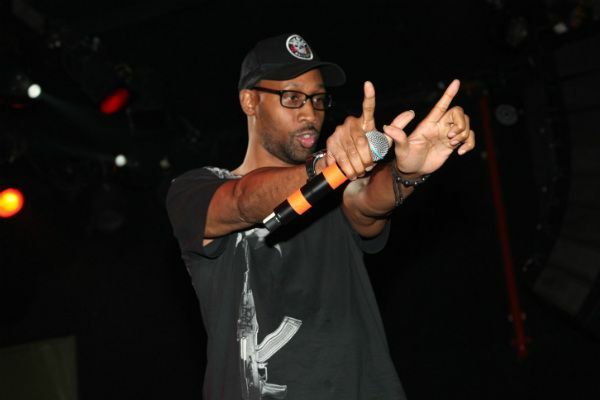 So, yes: RZA for dictator!